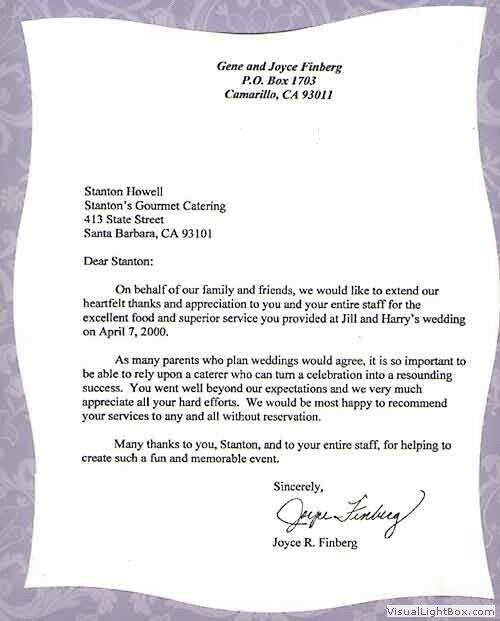 Please take time to read what the brides, grooms, parents and event planners for business have written about the quality of our service and cuisine. 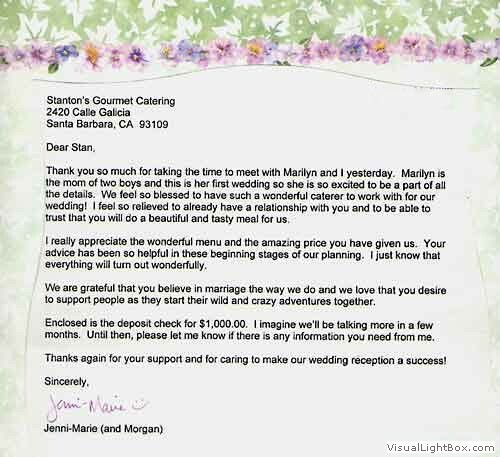 They are wonderful letters and there are terrific pictures to see as well. I vow that I will give you the same care as I gave them. 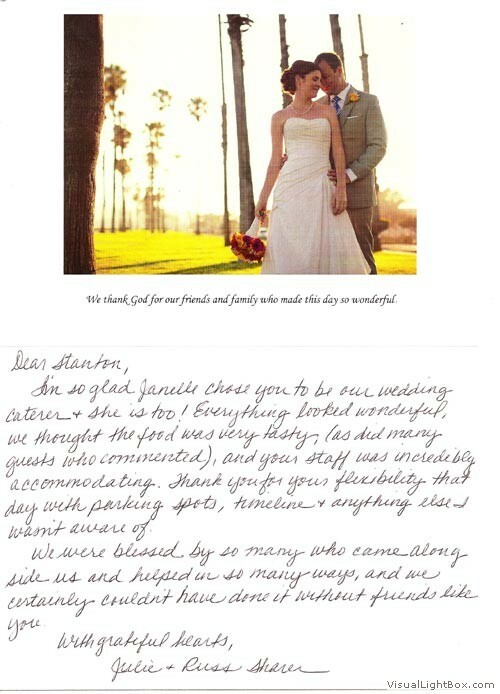 We would like to sincerely thank you for helping to make our wedding perfect. 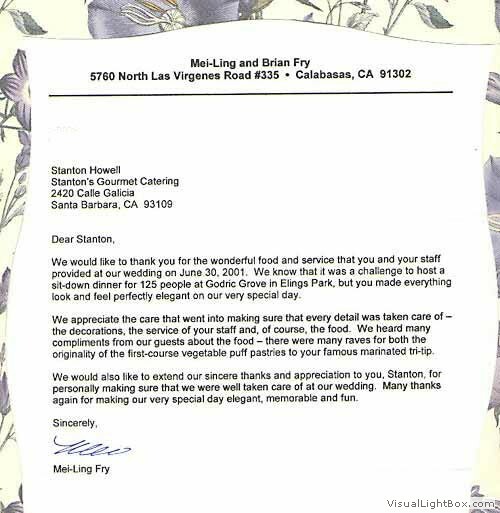 Your willingness to customize a menu that was specific to our guests was terrific.... We are so appreciative for the fabulous food, beautiful presentation and professional staff. 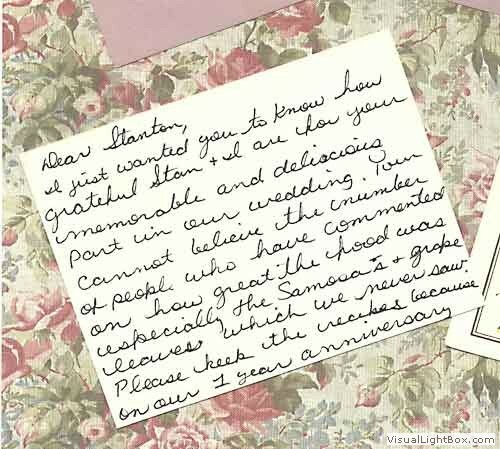 It contributed greatly to our wedding success. As always, a perfect event! Thank you so much for everything. 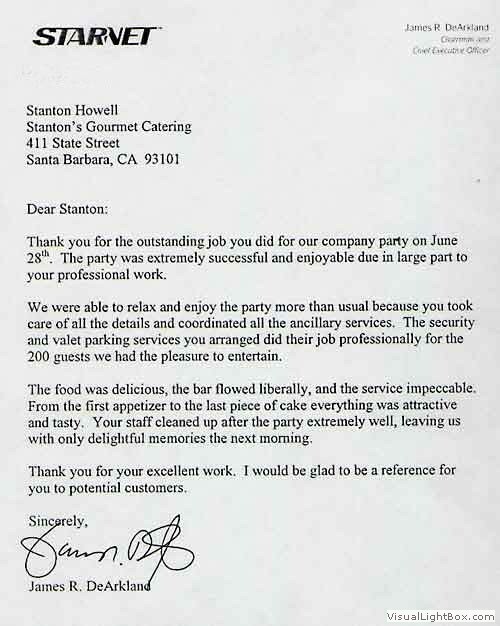 The guests were raving about your food and excellent service during the entire event. 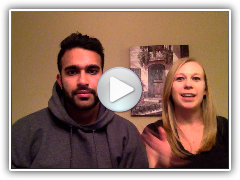 Adam and I always look forward to working with you and would love to work with you again in the future. Thank you and your team for a fantastic event. 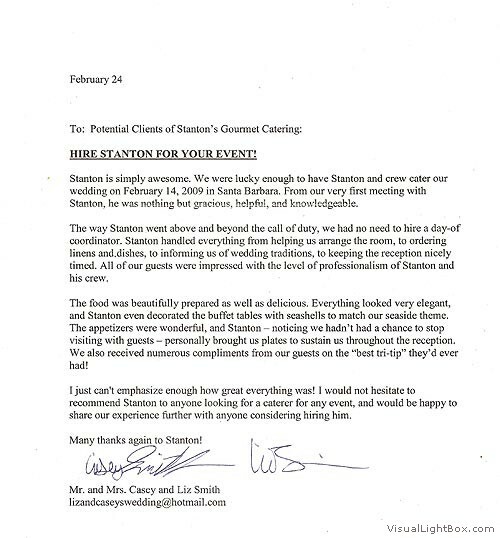 Stanton, I'm so glad Janelle chose you to be our wedding caterer and she is too! 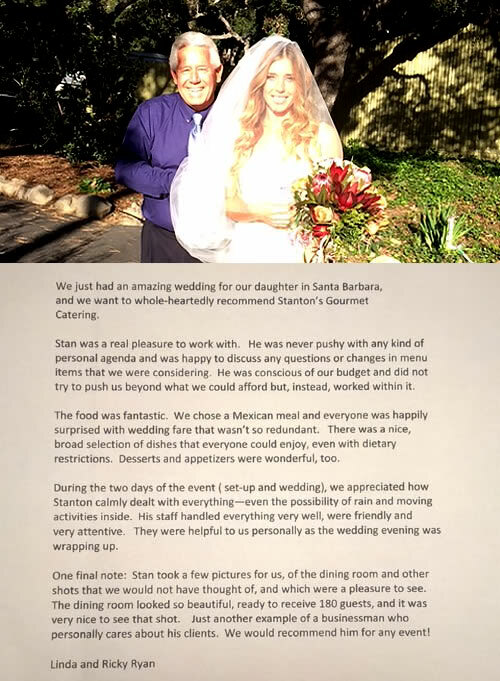 Everything looked wonderful, we thought the food was very tasty, (as did many guests who commented) and your staff was incredibly accommodating. We were blessed by so many who came along us and helped in so many ways, and we certainly couldn't have done it without friends like you. 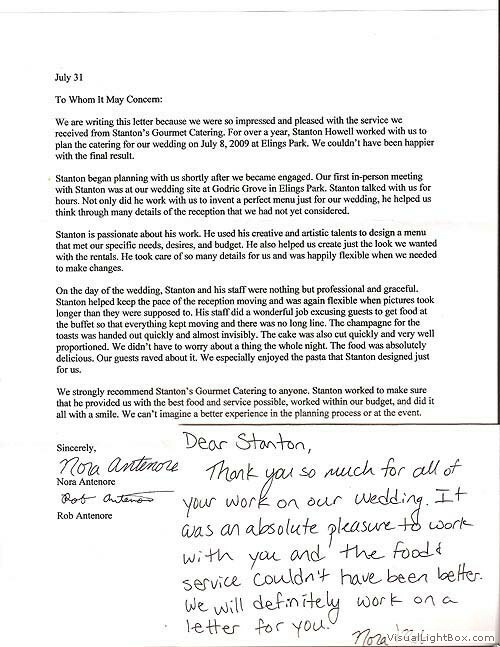 Over all I can not stress enough how grateful I am that I chose Stanton's Gourmet Catering. 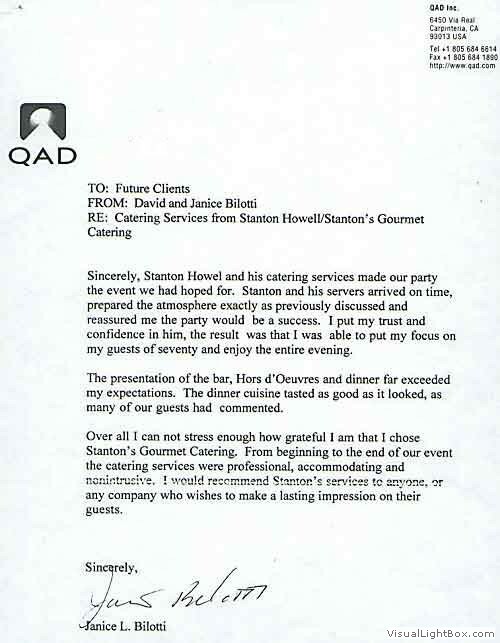 From beginning to the end of our event, the catering services were professional, accommodating and nonintrusive. 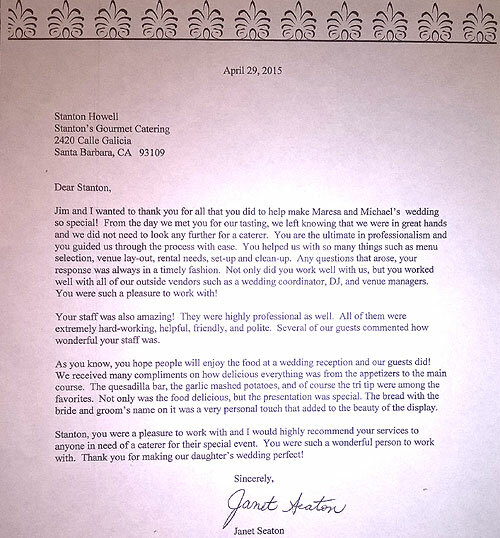 I would recommend Stanton's services to anyone, or any company who wishes to make a lasting impression on their guests. Your food and the presentation of it on the buffet tables was extraordinary! We really appreciated your being there to help serve and help us clean up. 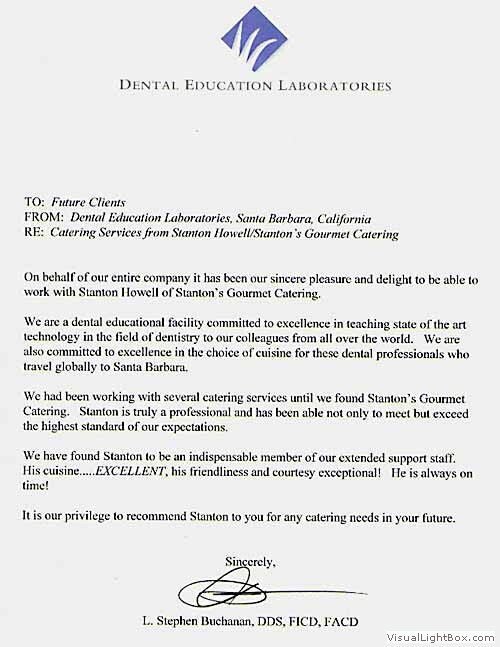 You responded to our needs and went far beyond the required without question. Thank you for your communication before the day. It was very reassuring. 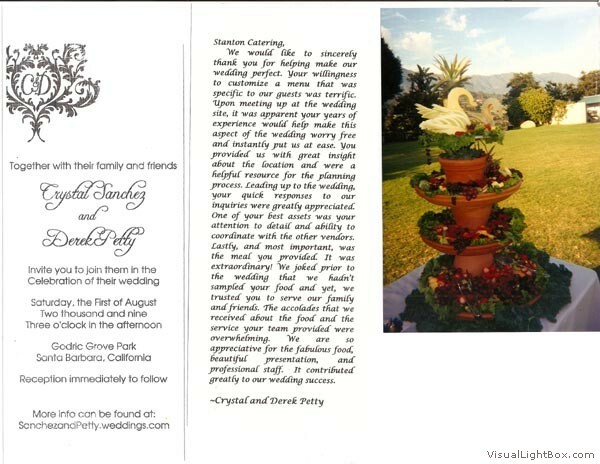 You received many compliments and departments called us to get your name for their events. We never could have had the home run Open House we had without your help. Thanks for working with us. You were right! 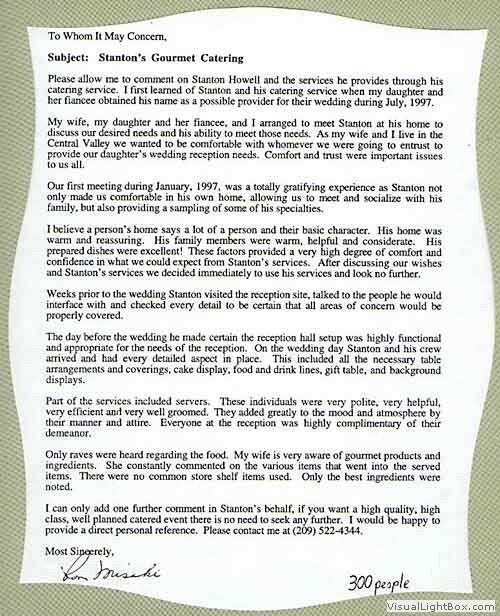 We were very pleased with the results. 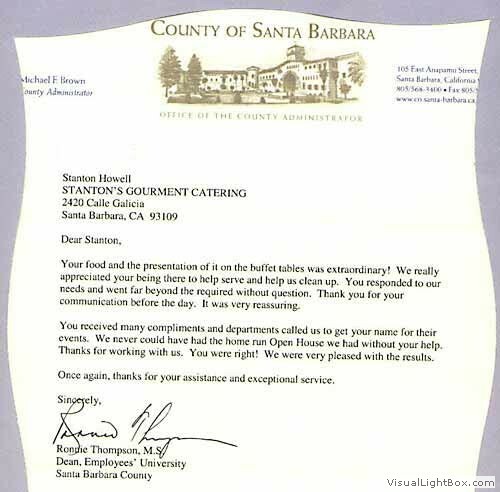 Once again, thanks for your assistance and exceptional service.